Briefly introducing us: One of our two Mokemoke Aotearoa founders has ancestral roots in Aotearoa, with his kaumutua having lived on the hillslopes of Roslyn in Dunedin. And the other has her ancestral roots spread afar as Kenya and Britain, and South Africa. We both miss our whānau who are now scattered over many countries. Being matua, home for us is where we spend time with our tamariki (growing up! 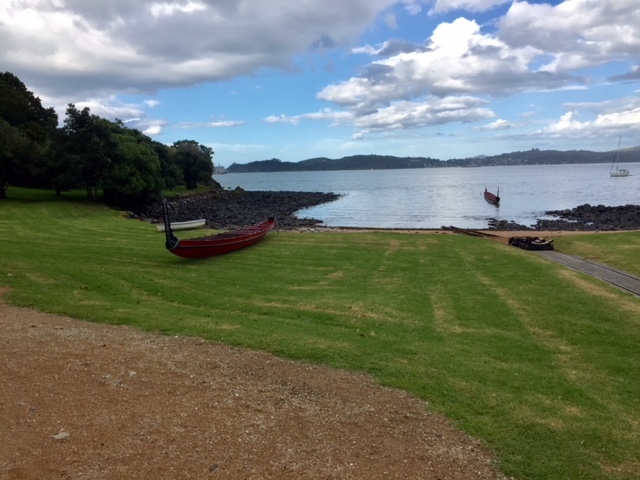 ), and so that is in Tāmaki Makaurau looking onto Rangitoto; and north enjoying the wonderful sea and hills around Tuparehuia. We know for most of you, your pepehā is part of who you are…you acknowledge the importance that your ancestors and kaumutua have had in influencing who you are today. And we acknowledge that the wellbeing of your whānau is just as important as your own wellbeing… and you might even consider whānau ora as being most important. So when your whānau is having problems we really expect that you might be deeply affected, and also if you are having problems your whānau too might be deeply affected. So ensuring that you and those around you are well is important to us. Ka whara te mokemoke i Aotearoa is important for us. So sometimes for you and your whānau to all be well, you have to be brave enough to acknowledge your own feelings – feelings that for whatever reason you have not been able to share with others… and have brought you loneliness. If you are one of the Māori who feels lonely we show aroha! And if you know of someone who feels loneliness, then please read further. In fact even if you suspect others might be lonely, and they stubbornly say they aren’t, it’s worth understanding loneliness better. … and in addition to these, you undoubtedly identify with many of the same loneliness problems that aren’t related to ethnicity. 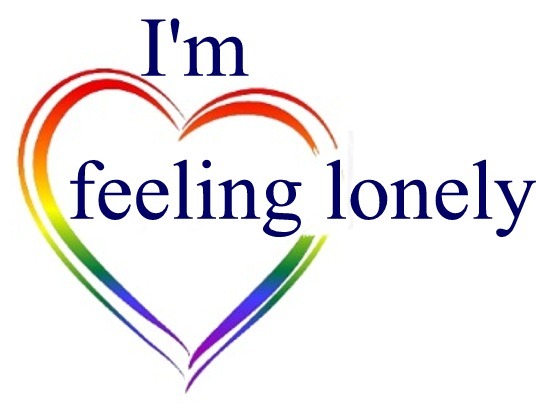 If you’re feeling lonely, then you are not the only one. As a Māori, you are more likely to be lonely than your contemporary pākehā. 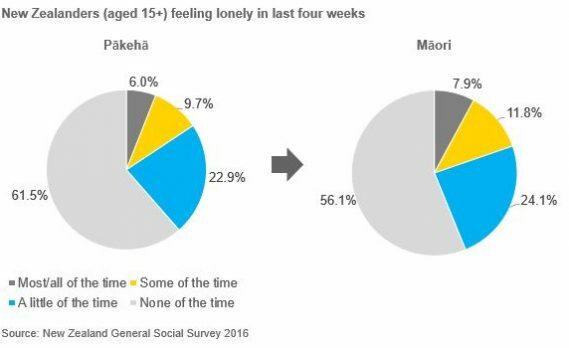 Māori have a higher prevalence of feeling lonely most/all of the time, feeling lonely some of the time, and feeling lonely a little of the time; when compared to pākehā (see the pie-chart). Overall, almost half (44%) of you and your whānāu are feeling lonely at least a little of the time; which compares to a little over a third (39%) of pākehā. 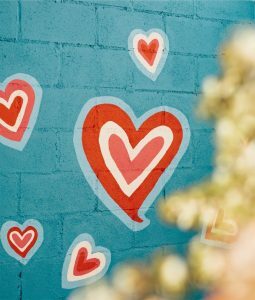 If you are Māori and feeling lonely, then it is likely that you are disconnected from your culture and whānau.Our analysis of the Te Kupenga Survey 2013 showed that if spirituality, religion, religious worship, pepehā, marae connection and Māori traditions are important to you, then you are much more likely to not feel lonely most/all of the time. 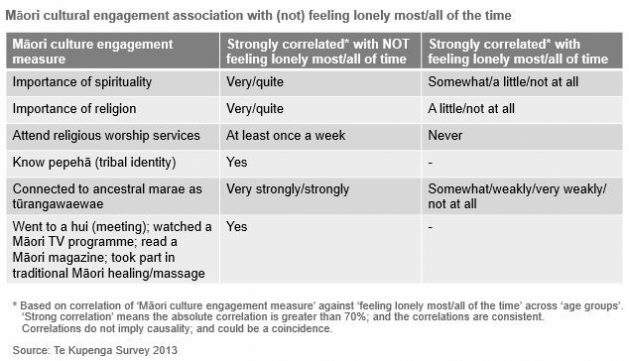 On the other hand, if your culture as determined by these measures is not important to you, then you are much more likely to feel lonely most/all of the time (see first table). Equally, our analysis of the Te Kupenga Survey 2013 showed that if have a large wide whānau, get along well with them, are in face-to-face contact with them at least once a week, and it is not hard to get support in times of need or for cultural practices, then you are much more likely to not feel lonely most/all of the time. 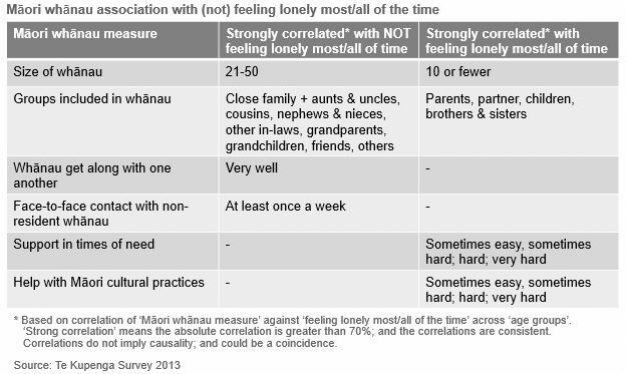 On the other hand, if your relationship with your whānau as determined by these measures is not strong, then you are much more likely to feel lonely most/all of the time (see second table). If you’re not connected to your culture or whānau and feel lonely, then we are not here to judge you, and rather we understand and show empathy. Your workplace is run by Pākehā, and everything about it is Pākehā… with no Māori symbolism at all. More and more of your whānau are leaving to find work elsewhere, and the only times you see them in the Marae is for a tangi. You have to justify your identity as being Māori, just because your skin colour isn’t brown enough. There are so few Māori students in the tertiary organisation you feel you don’t fit in. The house is so overcrowded you really miss quality time with your māmā. Your whānau are fighting constantly and the bad blood between them is worsening. Withdrawing from your family… you are secretly ashamed of them, and you don’t feel you have a place anymore. Fighting back… you feel so hurt you aren’t able to keep silent anymore. Reckless driving … you’ve been drinking to numb the pain and you still have to get home. Quitting studies… you aren’t being supported at your school or at home. Thinking about suicide… you can’t cope with the demands everyone expects from you. Being hassled into joining a gang …you’re scared because you hate their activity but it’s safer to be on the inside. Stats NZ (2014), “Te Kupenga 2013 (English) – corrected.” Download the data.